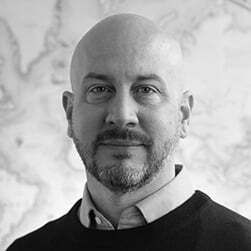 I’ve been involved with TeleGeography’s research on submarine cables since 2000. Over the years I’ve fielded numermous questions about the submarine cable industry from journalists, investors, family, and friends. It seems as good a time as any to provide a compilation of answers to some of the most commonly asked questions. 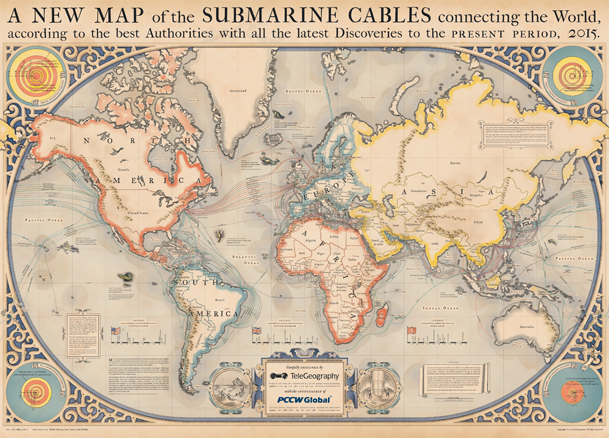 If you have a burning question about submarine cables that we haven't covered here, tweet it to us @TeleGeography. How many cables are there? As of early 2017, there are approximately 428 submarine cables in service around the world. Modern submarine cables use fiber-optic technology. Lasers on one end fire at extremely rapid rates down thin glass fibers to receptors at the other end of the cable. These glass fibers are wrapped in layers of plastic (and sometimes steel wire) for protection. How thick are undersea cables? For most of its journey across the ocean, a cable is typically as wide as a garden hose. The filaments that carry light signals are extremely thin — roughly the diameter of a human hair. These fibers are sheathed in a few layers of insulation and protection. Cables laid nearer to shore use extra layers of armoring for enhanced protection. Do the cables actually lay on the bottom of the ocean floor? Yes, cables go all the way down. Nearer to the shore cables are buried under the seabed for protection, which explains why you don’t see cables when you go the beach, but in the deep sea they are laid directly on the the ocean floor. Of course, considerable care is taken to ensure cables follow the safest path to avoid fault zones, fishing zones, anchoring areas, and other dangers. To reduce inadvertent damage, the undersea cable industry also spends a lot of time educating other marine industries on the location of cables. How many kilometers of cable are there? As of 2017, we believe there are over 1.1 million kilometers of submarine cables in service globally. Some cables are quite short, like the 131 kilometer CeltixConnect cable between Ireland the United Kingdom. In contrast, others are incredibly long, such as the 20,000 kilometer Asia America Gateway cable. 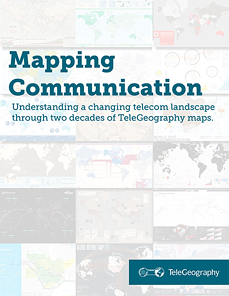 The best way to answer this is to visit TeleGeography’s Submarine Cable Map. We’re constantly updating this free resource to illustrate the world’s active and planned cables. As you will see on the map, nearly all countries that have a coastline are connected to a submarine cable. Countries must have multiple cables to ensure reliable connectivity in case there is damage to a cable. If we use South Africa as an example, two cables connect on the west coast, while three extend from the east coast. Why are there many cables between some continents but no cables between Australia and South America, for instance? Europe, Asia, and Latin America all have large amounts of data to send and receive from North America. This includes internet backbone operators ensuring that emails and phone calls are connected and content providers who need to link their massive data centers to each other. This explains why you see so many cables along these major routes. Conversely, there’s just not much data that needs to go between Australia and South America directly. If that situation were to change, you can be sure someone would build a new cable in the South Pacific. Cables were traditionally owned by telecom carriers who would form a consortium of all parties interested in using the cable. In the late 1990s, an influx of entrepreneurial companies built lots of private cables and sold off the capacity to users. Both the consortium and private cable models still exist today, but one of the biggest changes in the past few years is the type of companies involved in building cables. Content providers such as Google, Facebook, Microsoft, and Amazon are major investors in new cable. The amount of capacity deployed by private network operators – like these content providers – has outpaced internet backbone operators in recent years. Faced with the prospect of ongoing massive bandwidth growth, owning new submarine cables makes sense for these companies. You do! This blog post is hosted on a server in North America. If you are viewing on it on another continent, your upstream internet provider almost certainly used a submarine cable to reach the server. Users of submarine cable capacity include a wide range of types. Telecom carriers, mobile operators, multinational corporations, governments, content providers, and research institutions all rely on submarine cables to send data around the world. Ultimately, anyone accessing the internet, regardless of the device they are using, has the potential to use submarine cables. How much information can a cable carry? Cable capacities vary a lot. Typically, newer cables are capable of carrying more data than cables laid 15 years ago. The planned MAREA cable will be capable of carrying 160 Tbps (terabits per second, equal to 1 million megabits per second). There are two principal ways of measuring a cable’s capacity. Potential capacity is the total amount of capacity that would be possible if the cable’s owner installed all available equipment at the ends of the cable. This is the metric most often cited in the press. Lit capacity is the amount of capacity that is actually running over a cable. This figure simply provides another capacity metric. Cable owners rarely purchase and install the transmission equipment to fully realize a cable’s potential from day one. Because this equipment is expensive, owners instead prefer to upgrade their cable gradually, as customer demand dictates. Why don't companies use satellites instead? Satellites are great for certain applications. Satellites do a wonderful job of reaching areas that aren’t yet wired with fiber. They are also useful for distributing content from one source to multiple locations. However, on a bit-for-bit basis, there’s just no beating fiber-optic cables. Cables can carry far more data at far less cost than satellites. It’s hard to know exactly how much of all international traffic is still carried via satellite, but it’s very small. Statistics released by U.S. Federal Communications Commission indicate that satellites account for just 0.37 percent of all U.S. international capacity. OK, but what about my mobile device. Isn't that wireless? When using your mobile phone, the signal is only carried wirelessly from your phone to the nearest cell tower. From there, the data will be carried over terrestrial and subsea fiber-optic cables. I saw Facebook is launching their own satellites and Google has internet drones now. Are cables really the future? Both of these companies are investing in these projects primarily as a way to bring internet access to less developed parts of the world where there is little or no access to the global internet. They are not looking to use satellites or drones as a way to offset their usage of submarine cables at this time. Both Facebook and Google are continuing to build new submarine cables, such as the planned Pacific Light Cable Network in which they are both investors.